Suppose you want to make a cake. What ingredients are required for this, in what quantities and what shall the final cake look like? A good baker will stick to a well-tested and proven recipe that is skillfully and detailedly adhered to during the baking of the cake and reject deviations to the established composition of the cake, unlike the hobby baker. In the solar PV industry, the applicable (and frequently confused) terms are bill of materials – abbreviated as BOM – and constructional data form (CDF). The aforementioned differences between a hobby baker and a professional baker probably best describe the nuanced differences between BOM and CDF. Many employees of PV module manufacturers as well as buyers alike tend to regularly confuse these terms, and in many cases even do not know about the existence and meaning of a CDF. This article will explore these nuances between BOM and CDF and explain the related misunderstandings and problems. A bill of materials or BOM is a list of all material (raw materials, sub-assemblies, sub-sub-assemblies, down to individual nuts and bolts) that is used at a specific point of time to make a finished product. In the industry, a BOM will be prepared against a specific production order with complete specifications. When specifications change, the materials requirements will change, and that means the BOM will change. A BOM can be in a modular, multilevel and hierarchical form, with the final product at one level, major assemblies listed in the next level (column), subassemblies of each major assembly listed against that in the next column, and further subassemblies against each in the next column etc., down to the smallest items. For example, a BOM for production of a printed circuit board (PCB) will include all the components and materials that go into its production like resistors, capacitors, fuses, fuse links, etc.,along with the quantities required. The BOM is not only useful to document the raw materials and components used in the production of a product, but it is also helpful for economical procurement and stocking, and with the addition of other costs, helps in estimating cost of the finished product. What is a Constructional Data Form? The constructional data form (CDF), also sometimes called engineering BOM, is a comprehensive document that specifically lists all critical raw materials and components as well as design and labelling information for the manufacturing of a product as required per applicable standards. Constructional data forms are usually compiled during the certification process when qualifying a product’s design according to the relevant design qualification and type approval standard for that product type. When submitting testing samples, the manufacturer of the to-be-certified product is required to submit detailed documentation about all the raw materials and components used in the production of this submitted product which will also be thoroughly verified by the certification body concerned. Upon successful testing and consequently certification of that product to the related qualification design standard, the responsible certification body will attach CDF documentation to the certification report. All components used during certification testing as well as the labeling design and other parameters are fixed in the CDF of this specific, certified product. The manufacturer is obliged to use the components in the CDF to be able to state that their product is certified. The reason for this strict requirement is obvious: the performance and safety qualities of a product are significantly geared to the raw materials and components used in the production of that product. When qualifying a product to a standard, testing and related product performance and safety evaluation by the concerned certification bodies takes place only on the basis of its given construction at that point of time. First of all, it will greatly simply the certification process when a manufacturer uses components, such as junction boxes and solar cells, that are certified or well known in the market – meaning there is plenty of information available regarding the certifications of the components and the constructional data form. It is common among PV module manufacturers in China and Asia that a CDF contains a range of qualified components and sub-components and their respective suppliers for one and the same component type, so to give the PV module manufacturer greater permissable room for standard-compliant manufacturing, especially addressing the constant need of manufacturers to reduce costs. While IEC 61215 covers the qualification design and type approval of all types of crystalline silicon PV modules, IEC 61646 covers all types of thin-film PV modules, including amorphous silicon (a-Si), copper indium gallium selenide (CIGS), cadmium-telluride (CdTe) and gallium-arsenide (GaAs) modules. IEC 62108 covers the design qualification and type approval of CPV modules. IEC has many different technical committees that specialize in the various electronic products. For PV modules and also module raw materials and other PV components such as inverters, the Technical Committee 82 (TC82) is the responsible sub-body. It consists of different specialized working groups (WGs) which are continuously working on new standards or expanding and overhauling existing standards in line with industry and research developments. 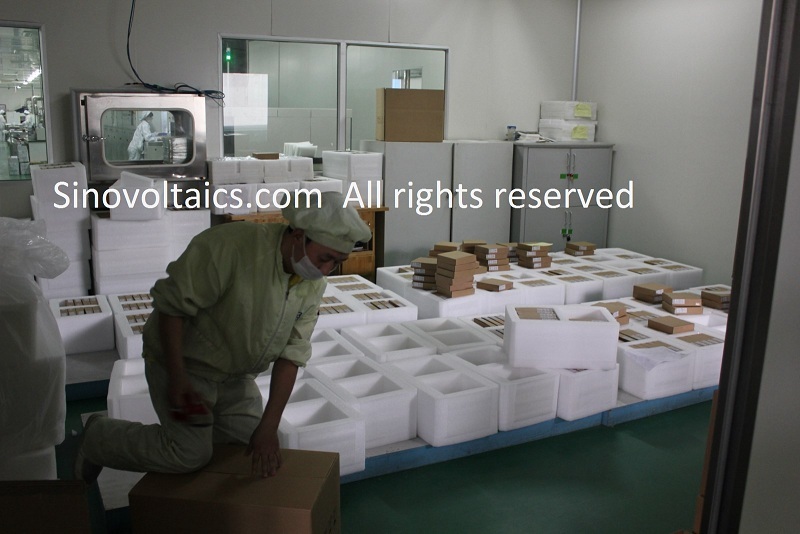 While WG2 works on standards for non-concentrator PV modules, WG7 specializes in concentrator PV modules. More details about the design qualification and type approval standards for solar PV modules as well as other important standards can be found on our PV module certification world map. In simple terms, while a PV module BOM can be regarded as the composition information document of a PV module of a specific production run during a specific point of time, the CDF can be regarded as the qualfied, valid and certified “recipe” of a PV module. Strictly said, the materials listed in the BOM must match those of the CDF. Deviations from the CDF in usage of materials and components construe design changes that may potentially affect the performance of a PV module, therefore manufacturers are obliged to notify the certification bodies of this and either update the CDF of a module model after consultation with the certification body or even be required to subject the specific module model to re-testing. However, as raw material changes are often frequent and rather fast, some manufacturers rather opt to skip and ignore this time- and cost-intensive process and sell their modified modules with the qualification design and type-approval standard certification mark printed on the label of the very same product. Basically, selling an uncertified product. Without at least witnessing the use of qualified raw material and components as per CDF on-site during production, such as during an in-line inspection at the factory, it is very difficult to trace the original components starting from a readily assembled PV module. Being subject to regular changes and compiled by the manufacturer itself, there is no 100% guarantee that a BOM as compiled by the manufacturer will truly reflect the real and whole composition of a PV module. Some manufacturers may knowingly exploit this loophole and sell modules made of significantly cheaper low-grade components behind the protecting curtain of the qualification design certification mark obtained earlier. In some countries, regarding solar PV off-grid systems there is no requirement for the modules to be certified. Further there are a couple of countries in Africa, South America , Asia and Oceania that do not have strict requirements on connecting uncertified solar modules to the grid. However the large majority of countries do require PV certifications, especially compliance to the major design qualification and type approval standards. Excellent article guys, very informative and helpful! I wonder how many non-compliant solar panels there are in the market? Could there be any real downsides to not having PV certified equipment on grid? What kid of errors could occur?